~ by admin on Dec 11, 2012. 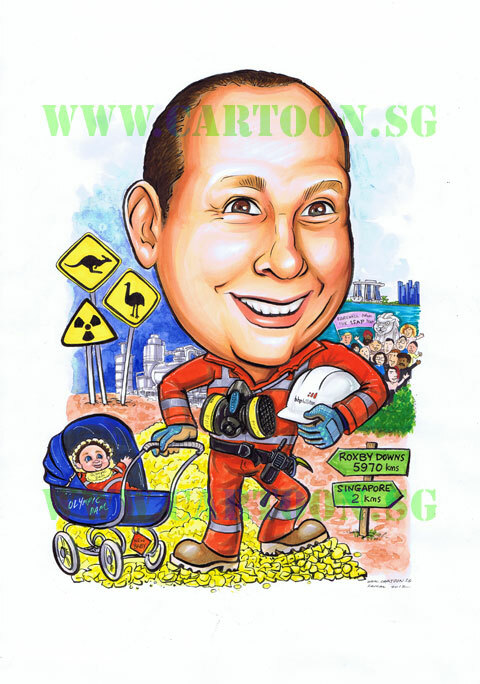 Our Client requested us to draw a farewell gift for their project director in a orange jumpsuit Olympic Dam uniform with a dust mask attached on his black belt and one hand holding a helmet while another pushing a baby carriage. 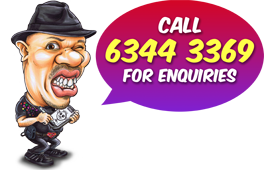 They wish to place him standing in the center with a set of signposts next to him with one of the signage pointing to the direction of Singapore(distance 2kms) and another direction pointing to Roxby Downs(5970 kms) with a pile of crowd mixture of Caucasian, Indian and Singaporean holding a banner overhead which says “Farewell from 1SAP Team”.